This review originally ran in the Friday, March 15th issue of Shelf Awareness for Readers. If you don't already subscribe, sign up here to receive a bi-weekly dose of readerly goodness in your inbox. Yoshi is a young Japanese girl living in Tokyo, busy with school and prayers for the emperor, with occasional visits to her father stationed in Manchuria. When the Japanese attack Pearl Harbor, everything changes. Tokyo becomes a target for American bombing raids, and Yoshi's life fills with air raid sirens, prayers for soldiers and hopeless waiting. When Tokyo is at last hit with bombs that have been anticipated for so many months, the city left behind is unrecognizable, nothing more than a collection of corpses and ash and burned-out buildings. 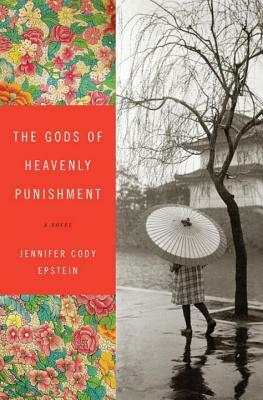 Jennifer Cody Epstein's The Gods of Heavenly Punishment is Yoshi's story, and it is the story of Cameron Richards, a downed bomber pilot in 1942's failed Doolittle Raid; Anton Reynolds, an American architect living in Tokyo before the war; and Billy, an American soldier sent into Tokyo as part of the occupation after the Japanese surrender. Their stories come together in a tale of war and all the chaos associated with it, detailing the everyday cruelties and illogical injustices that became the norm for Tokyo residents after the 1945 firebombing of the city. With stunning clarity, Epstein has re-created Tokyo both before and after the bombing in a novel that raises still-unanswered questions about the horrors of war, the cruelty associated with it and the lasting impression it can make on a person, a people or a place. This is a change. The war from the other side. Interesting. It is very interesting and very well done - captures a lot of the internal conflict on both sides as they fight each other, and all of the cruelties that war brings with it.